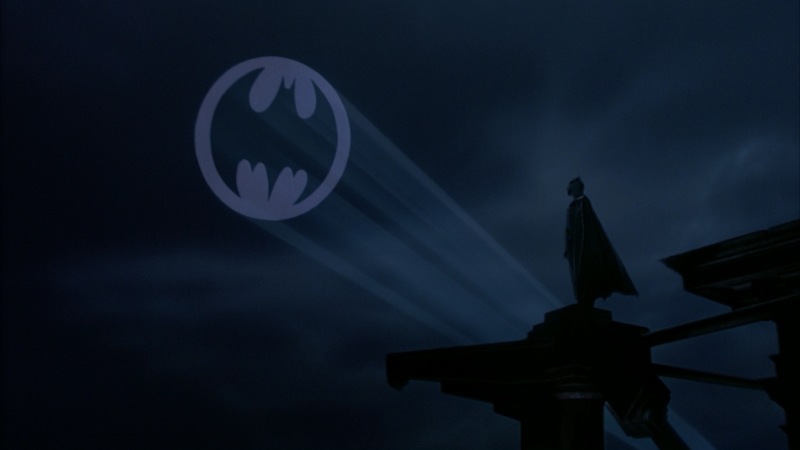 When it comes to Batman in film and TV prior to this Batman was known for its camp value with the 1960s TV show and film. As a child in the 80s the TV show was in syndication and I used to watch the show on a regular basis. 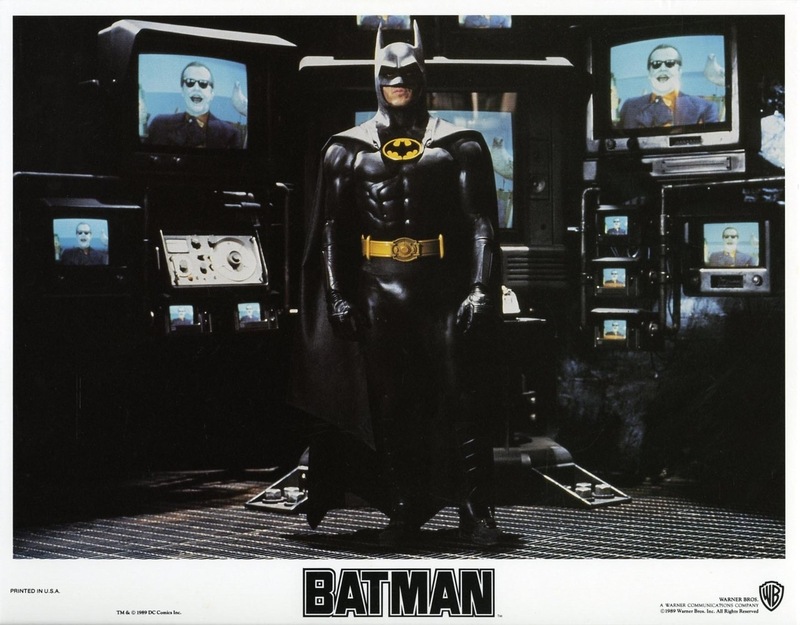 Released in 1989 Tim Burton’s Batman greatly differs and while there is some camp value here its also played straight and even takes a slightly darker tone at least compared to the 60s version. Even though I like this version it did take me a bit to get used to it since I was so used to the 60s version. 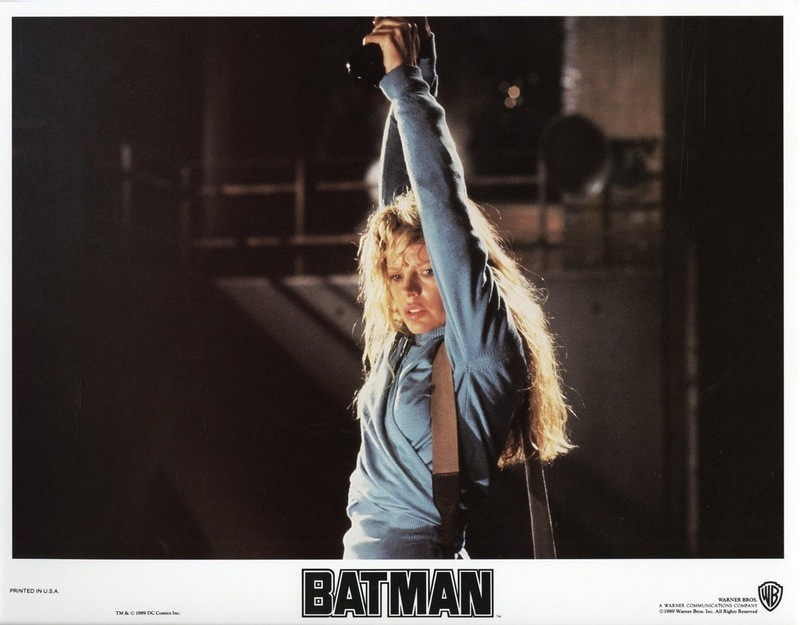 As I’ve gotten older while I still enjoy the 1960s Batman it can at times be a little too absurd and now I can appreciate the 1989 version a little more. When it comes to the Batman franchise for me nothing can top the Christopher Nolan trilogy and while I’m not one for modern Hollywood films in general those are the exceptions. 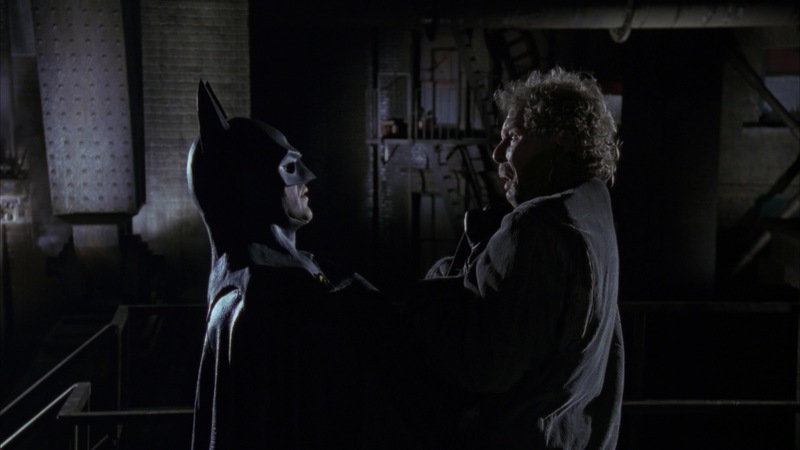 Tim Burton took Batman in a different direction than we were used to seeing at the time, but there is still some camp value on display mixed in with a slightly more serious tone and for the most part the mixture does work. The screenplay by Sam Hamm & Warren Skaaren is fairly strong though it does lack a little depth in spots. 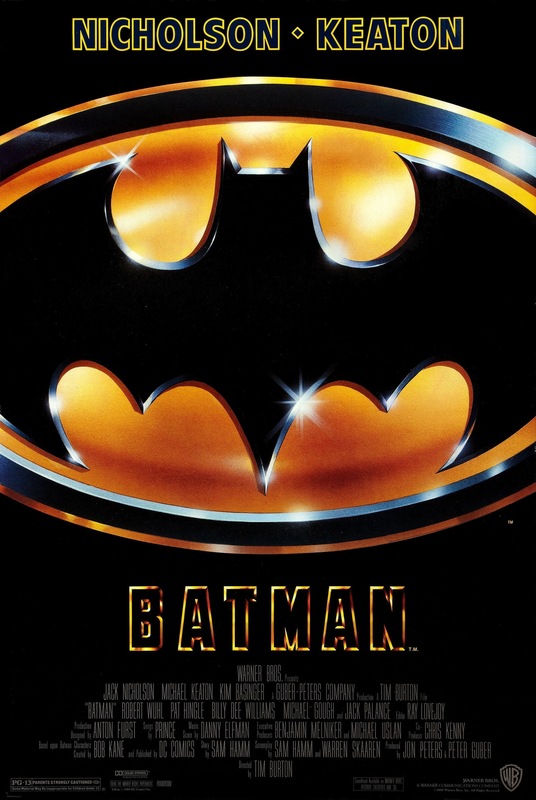 Character wise the script is solid, but Bruce Wayne (Keaton) is the most lacking character in depth. 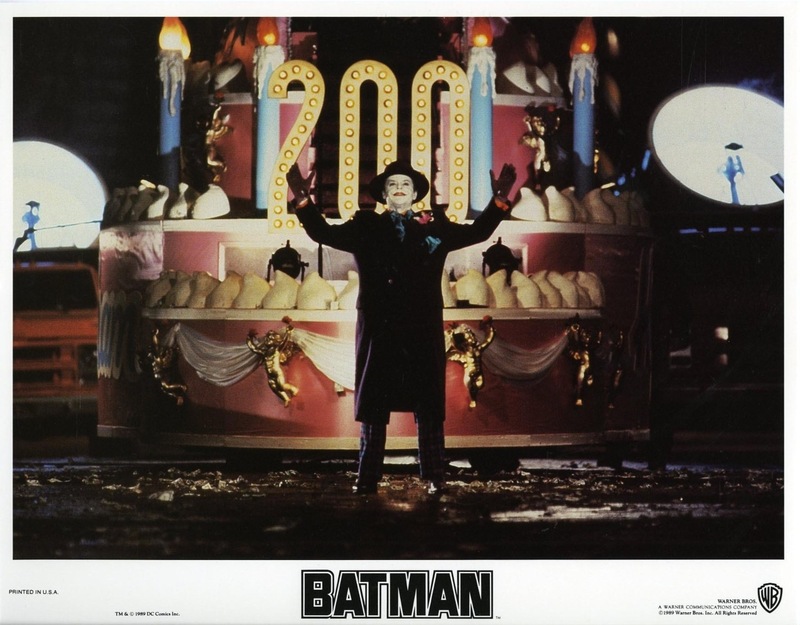 At the start of the film he just became Batman since as of the opening he’s more of an urban legend of sorts. While the death of his parents are mentioned it actually plays a small role, but vital. In Nolan’s Batman Begins we get a much deeper look at how Wayne became Batman and he’s a much more complex character as well. If anything Hamm & Skaaren write for Bruce Wayne and Batman as if the audience already knows his whole story, which I’m sure most us already did, but it seems they relied too much on knowledge of the comics, but I would have liked to have seen more done since Bruce Wayne can make an interesting character study and here its implied how complex he can, but the writers never delve into his psyche. If anything Joker (Nicholson) is the main character and he has a bit more depth (though he could have used more) and is the far more interesting character. There can be stretches in the script when Bruce Wayne isn’t even there (same goes for Batman) and more focus is on Joker. 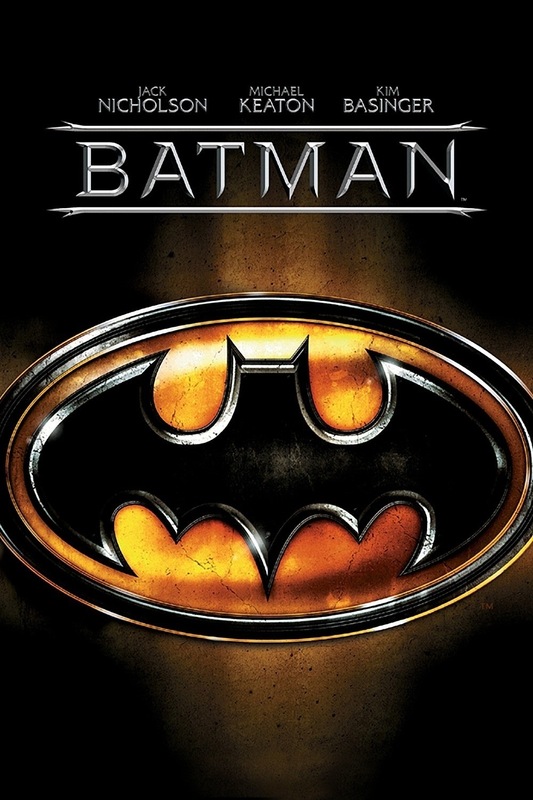 Overall Batman is well written and plotted and even if characters lack depth in spots they still work well. Hamm & Skaaren write an excellent script, but I also think there was a lot more potential even if it is a success. Director Tim Burton tones down the camp value and crafts a more gothic like look. 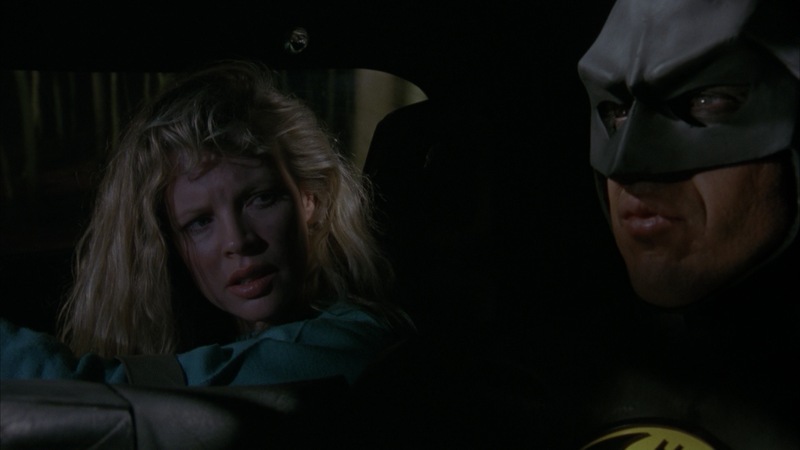 Many have described Batman as dark and I guess compared to the 60s version it was, but I really wouldn’t say it was dark, but the tone of the film is a bit more serious mixed with some campy moments, but it never gets as over the top as the 60s version. The pacing of the film is quite strong and Burton gets the most out of each scene. The visual side of the film is quite interesting and really adds a lot to the film. Superhero films are often known for camp value, but Burton manages to toe the line with a mixture of playing it straight and playing it for camp, but like I said the camp value never gets to be too much. Other filmmakers have tried this and more often than not one took away from the other, but Tim Burton manages to make this work. 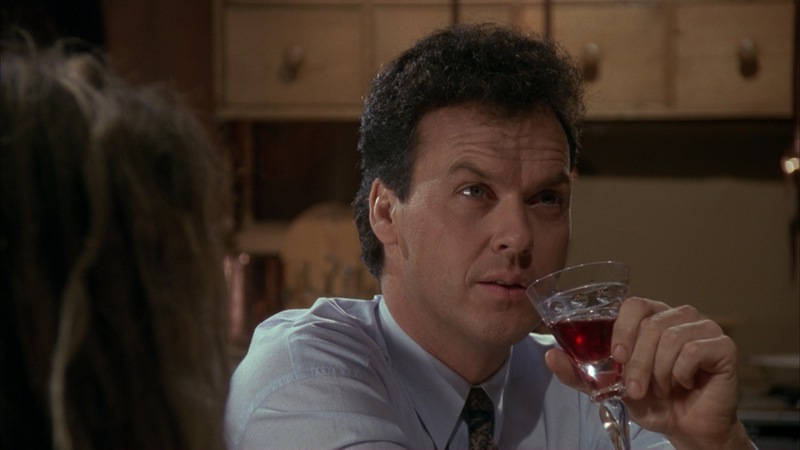 Michael Keaton probably wouldn’t be the first actor to come to mind for a role like this and his casting did cause some controversy, but I think Keaton put any doubts to rest as he makes for an excellent Bruce Wayne and Batman. 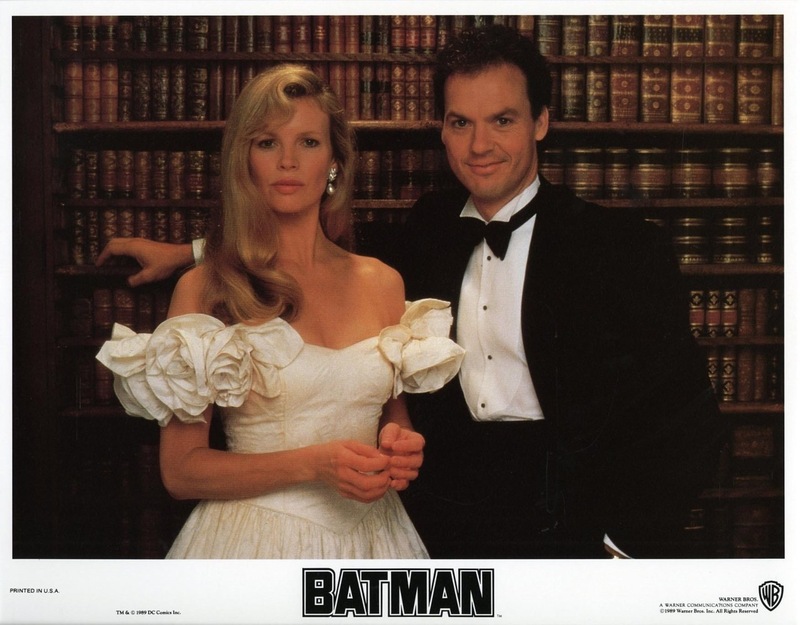 Of all the actors to play the Caped Crusader I’d rate Keaton as my 2nd favorite (behind Christian Bale). 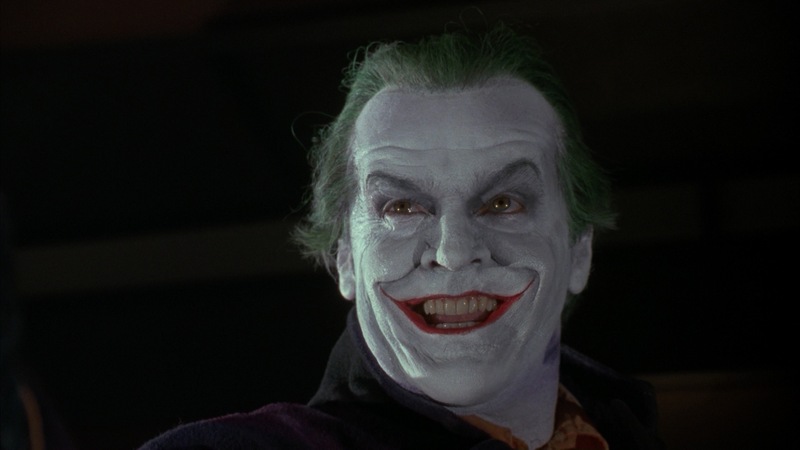 As the Joker, Jack Nicholson is fantastic. Obviously people will always compare Nicholson and Ledger, which really isn’t fair since they have two totally different takes on the character. If anything Cesar Romero from the 60s TV show is a better comparison, but even they are quite different. 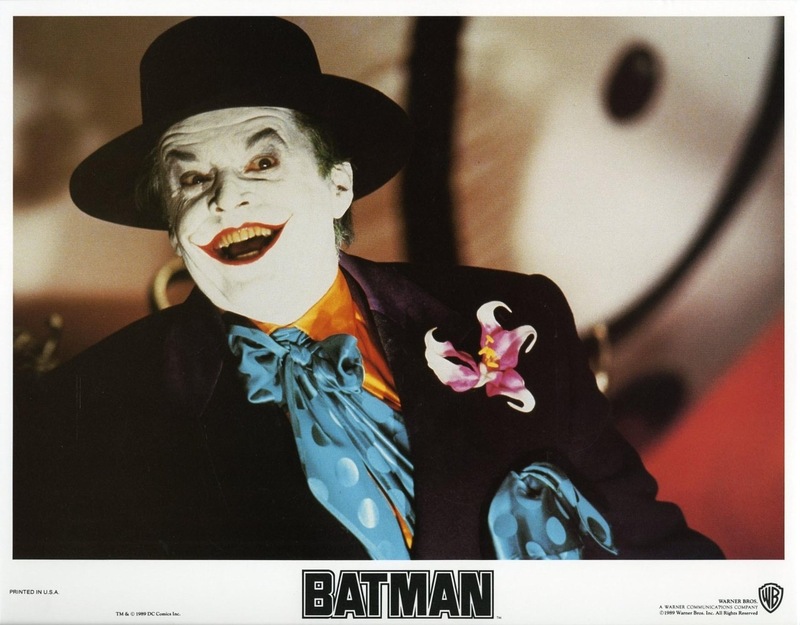 While Romero’s Joker was a complete blast he was sort of a bumbling idiot, which is how the character was meant to be portrayed. 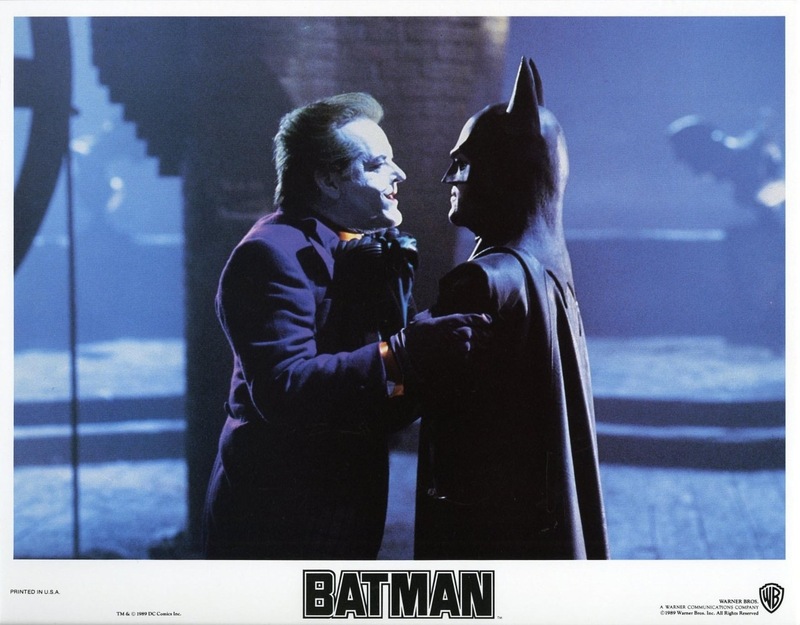 Nicholson isn’t quite as silly, but Joker is still a bit campy and funny. 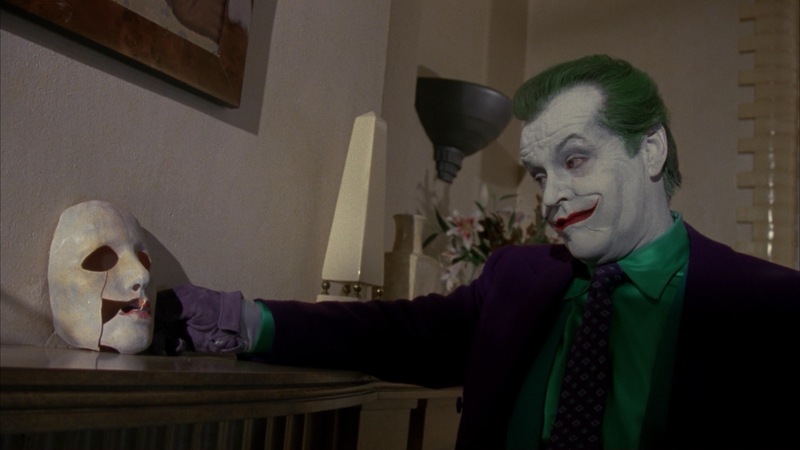 Heath Ledger is my all time favorite Joker and there is good reason why he won the Oscar, but Jack Nicholson’s take on the Joker is a lot of fun and it was a really fun performance. 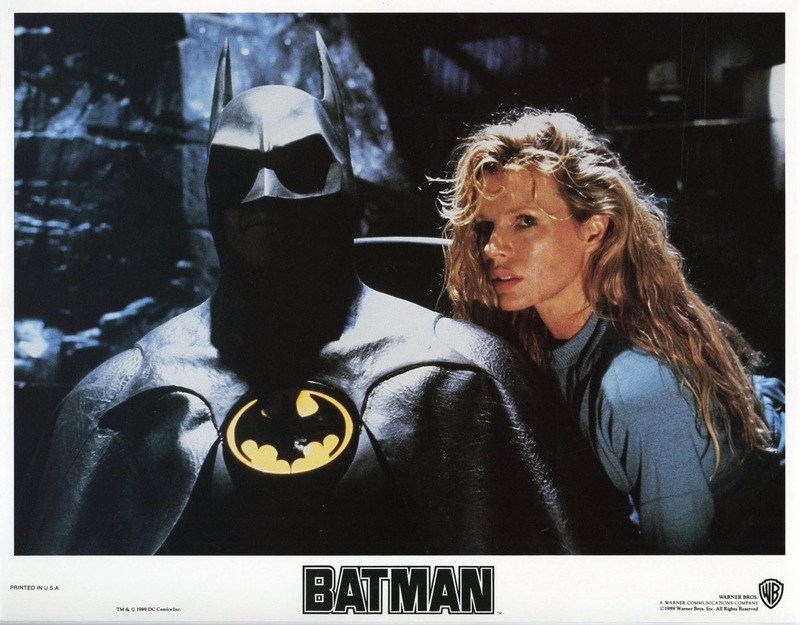 Overall Batman is an excellent film and while it may not reach the heights of Nolan’s trilogy and not counting those Tim Burton’s Batman is the best of the series and took Batman from camp value into something a bit more serious while retaining campy aspects.